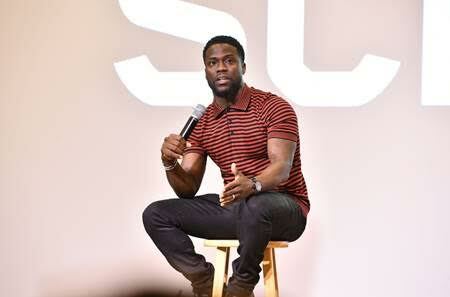 Kevin Hart and Will Packer made the best of their time in Atlanta over the past few days. 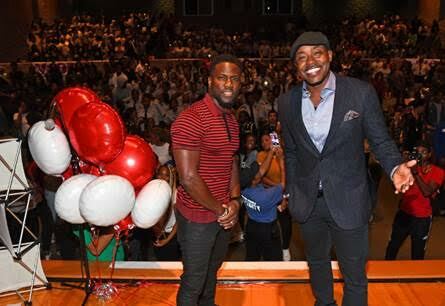 Kevin Hart and Will Packer made a surprise visit to a packed auditorium of more than 400 students at Langston Hughes High School on Tuesday, Sept. 11. Welcomed by V-103’s Greg Street, students and teachers alike went wild as the two special guests walked on stage. 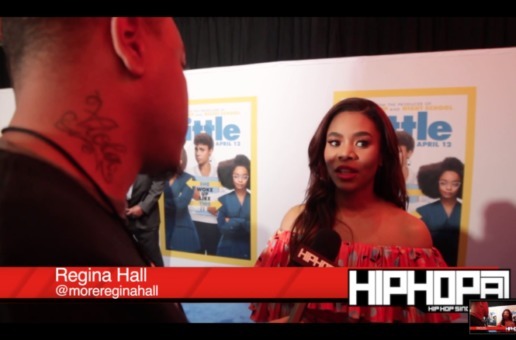 They surprise visit was made while Hart and Packer were in town promoting their upcoming film NIGHT SCHOOL (also starring Tiffany Haddish, Yvonne Orji, Fat Joe and Romany Malco), out in theaters Friday, August 28. After getting some great advice on school and life from the two powerhouses, the crowd was even more excited to hear the generous gift their school was receiving on behalf of the film. 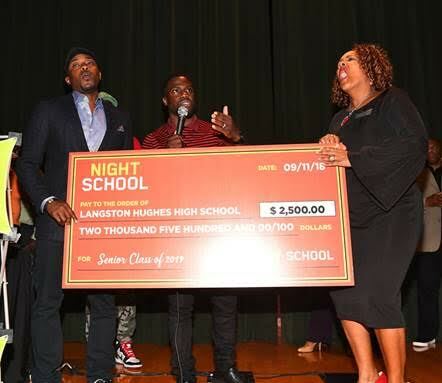 Thanks to Kevin Hart’s additional contribution, a donation of $2,500 turned into $12,500, bringing tears to the principal’s eyes. Office Depot joined in the fun presenting six pallets of classroom supplies and furniture. The school was over the top with joy, and the students never stopped screaming and shouting! Immediately after the high school visit, Kevin and Will hit the road to the Atlanta’s HBCUs, which include Morehouse College, Spelman College and Clark Atlanta University for a special REAL Talk event hosted by Kevin and Will. Held in the 300-seat Bank of America auditorium, students started to line up nearly three hours prior to event time. It was standing room only as Kevin and Will took the stage where they encouraged students to keep striving for their goals. Similar to a “Ted Talk” vibe, Kevin and Will shared tidbits such as, “Groom yourself for success,” and “Regardless of who is in the White House, as black people we must stand up and support each other. If we do that, we are unstoppable.” The end of the talk was met with cheers and applause from the students.